Mix, match, twist, and snap! 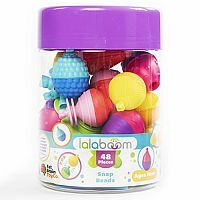 Lalaboom is more than a collection of snap-together beads, it is a beautifully innovative developmental experience. 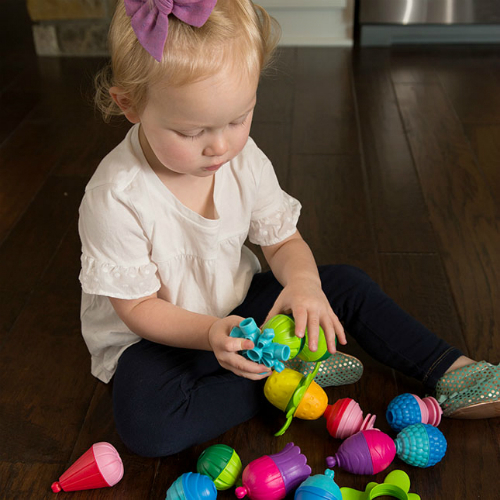 Senses are engaged as little ones explore the unique textures, vibrant colors, and smooth twisting movements. 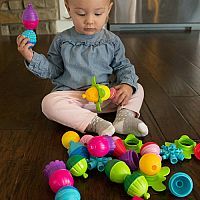 As children grow, they'll discover endless connecting and stacking possibilities, strengthening creativity, pattern recognition, fine motor, and problem solving skills. 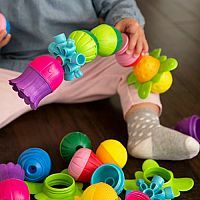 Plus, this set comes with two lacing needles AND beautiful flower pedal attachments for an added dimension of tactile exploration and pretend play! Complete with 9-way connectors for building in all different directions, the Lalaboom 48 piece Set is truly a never-ending, never-boring, creative-construction adventure. 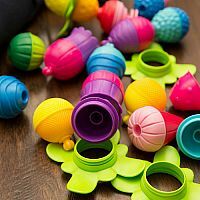 Measures approximately: 6.25 x 6.25 x 9.00 inches..